The transition from pre-school to school is a big step and milestone for your child and will bring about a lot of excitement and maybe even some nerves too! With encouragement and a little preparation, the transition to ‘big school’ can be smooth and seamless. Most children settle into school happily ready to make new friends, learn and take on the next step of their education. Here at Finchley pre-school, we work together with you and your child to ensure their transition is as exciting as possible, reassuring and encouraging them to look forward to the next period of their school life. 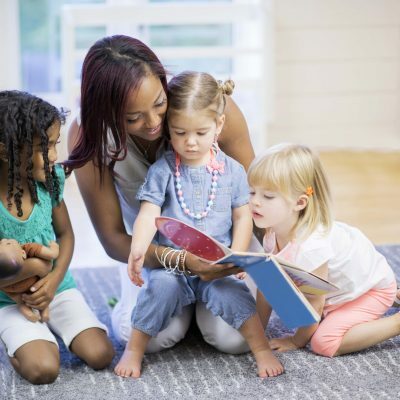 While your child will be excited at the prospect of change, new friends and new discoveries, it can also bring about some nervousness at leaving behind what they know to become more independent. There are many different ways you can help make the transition for your child as positive as possible and prepare them for a new chapter of school. Arranging a meeting for you and your child to visit their future teacher can be a good thing to put their worries at ease. It will give you both a chance to ask lots of questions, and for your child and their teacher to get to know each other. You can take a look around the school environment and reassure your child that they will have a great time moving to the ‘big school’. Some schools also offer a home-visit system so teachers and children can meet in a more familiar and comfortable environment. Visiting your child’s future school will give you both a chance to look around and get familiar with the new surroundings. During your visit, you can find out what your child will be doing at school and look around the facilities. Doing this will make the first day more familiar and comfortable as they will know what to expect. Discuss how it’s great to make new friends and how they can introduce themselves to new people by smiling and talking about their interests. We’re sure your children will naturally fall into friendships, but it’s good to give them a little encouragement too. Head to the library or a book shop to find some starting school books to read through with your child. The books may help them feel at ease or discuss any concerns they have about the transition. Your child will need a new uniform and school essentials, so arrange an exciting shopping trip to look for shoes, school bags and lunch boxes. Look at it as a fun day out rather than a chore that you have to do and make it all about them and their exciting new adventure to school! If you would like to discuss about preparing your child for school, or find out how we help children at Finchley Pre-school, please get in touch – we’d love to chat!